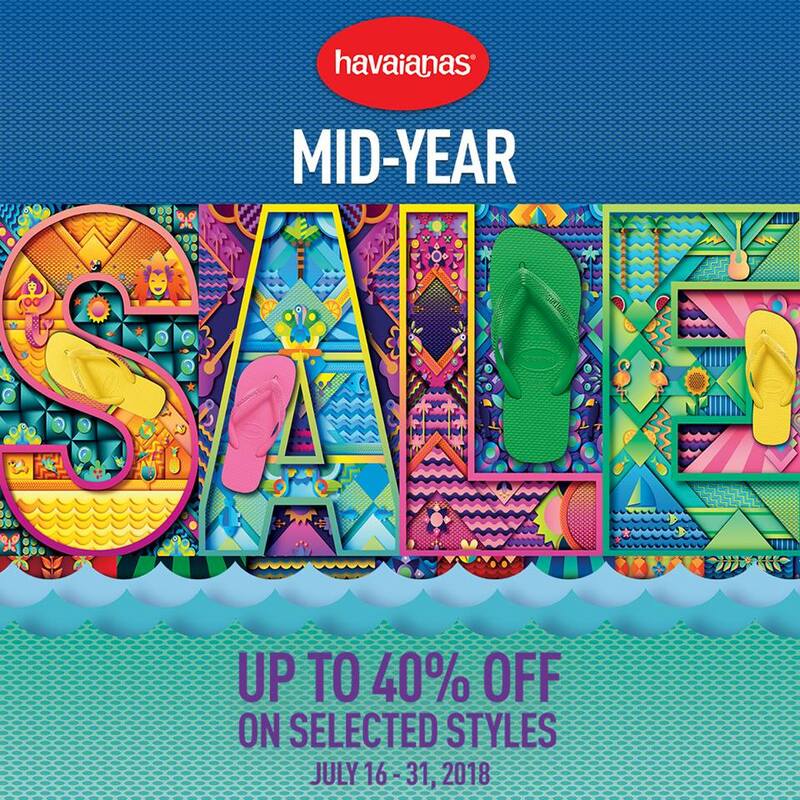 Don't miss Havaianas Mid-Year SALE happening now until July 31, 2018. Get up to 40% off on selected styles! 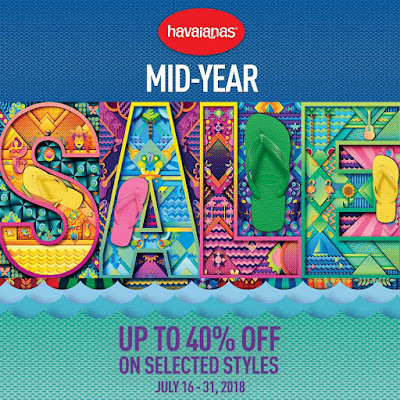 Head over to your favorite Havaianas kiosks and All Flip-Flop stores nationwide, or you can shop online HERE!